All of Beacon’s outdoor batting cages are built to last. 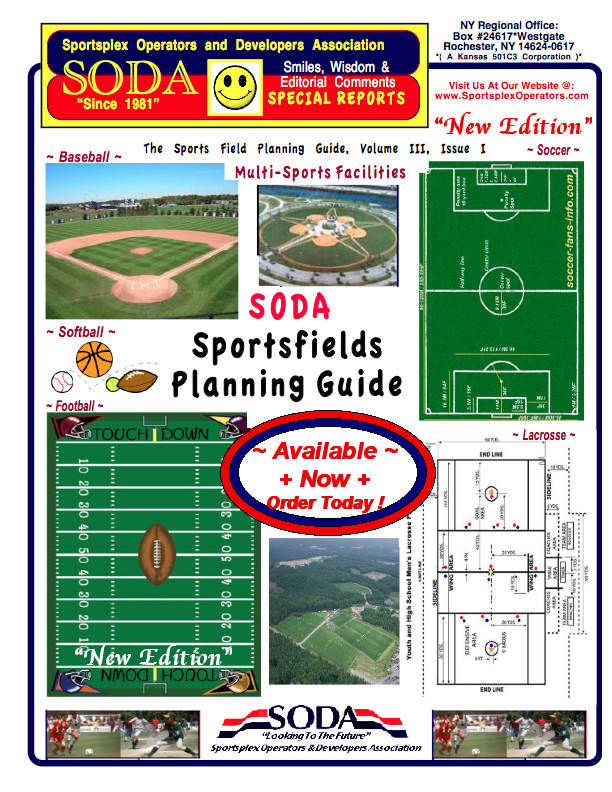 To help you select the best fit for your facility, we cut through the confusion. 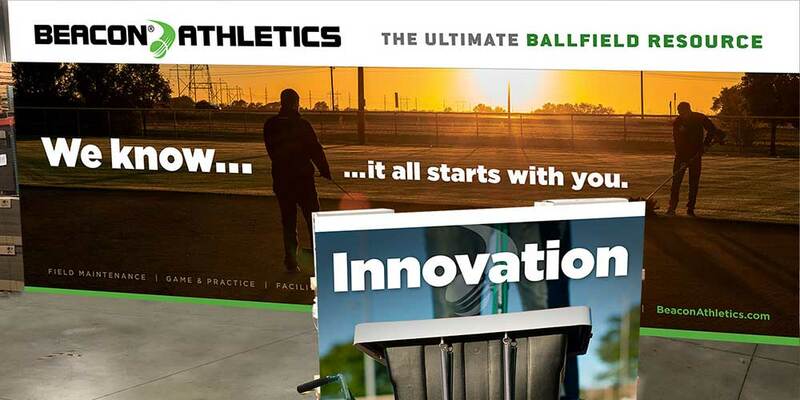 It can be hard to determine which batting cage is the right one for you. To clarify things, we have the distinguishing characteristics are broken out in a handy comparison table. 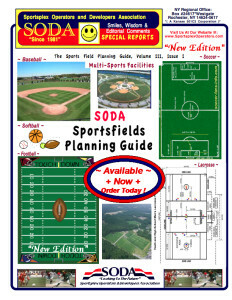 If you have any questions, or if you are ready to get started on a batting cage project, please contact us. Field Projects Start with Beacon. 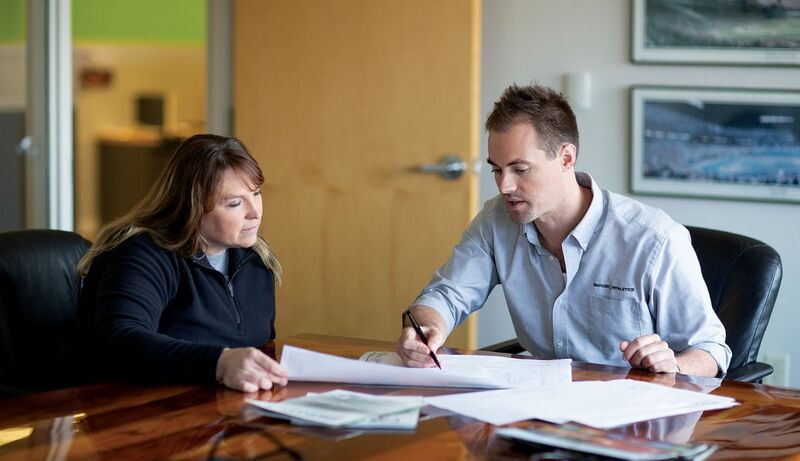 Make our Project Services team part of your team. 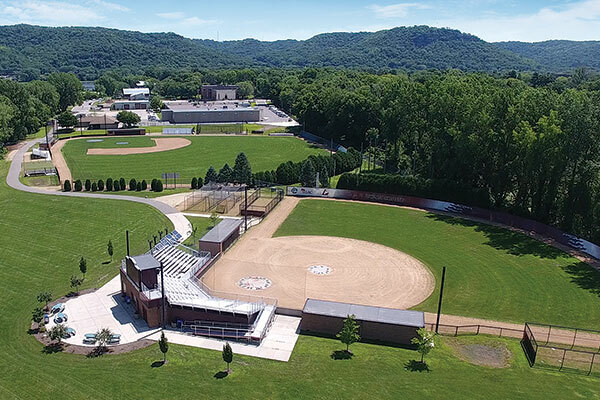 Whether you’re building a new ball field or renovating an existing field, our experienced designers and engineers can help you make your project run more smoothly. The result will be a low-cost, high-quality field that you’ll be proud of. Contact us at projects@beaconathletics.com to get started. You Gotta Take Care of Your Crew. Safety Matters. Take it from some of our most-seasoned veterans, making sure your crew is able to do their jpbs in a way that is smart and safe is not only good for them, it can help make everyone more productive. Take gloves, for instance. To most, the human hand is just… a hand. To the groundskeeper? It’s the most important tool you own. 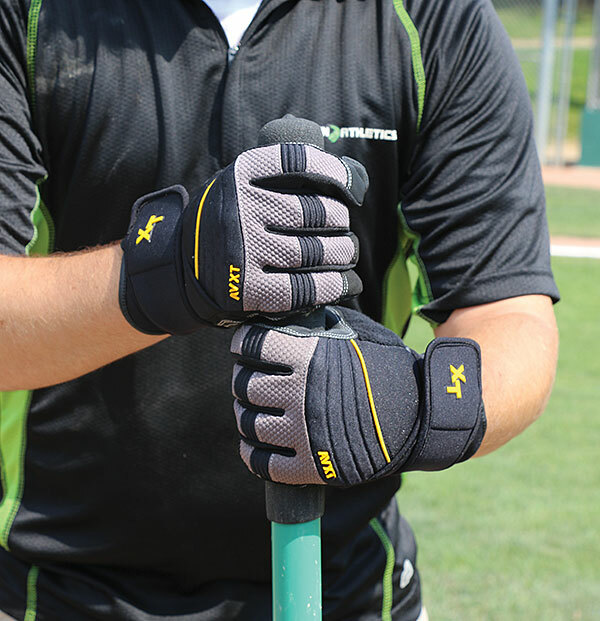 Protect your hands from vibration, scrapes, pinches, impact, soil and grease with Beacon’s line of performance work gloves. 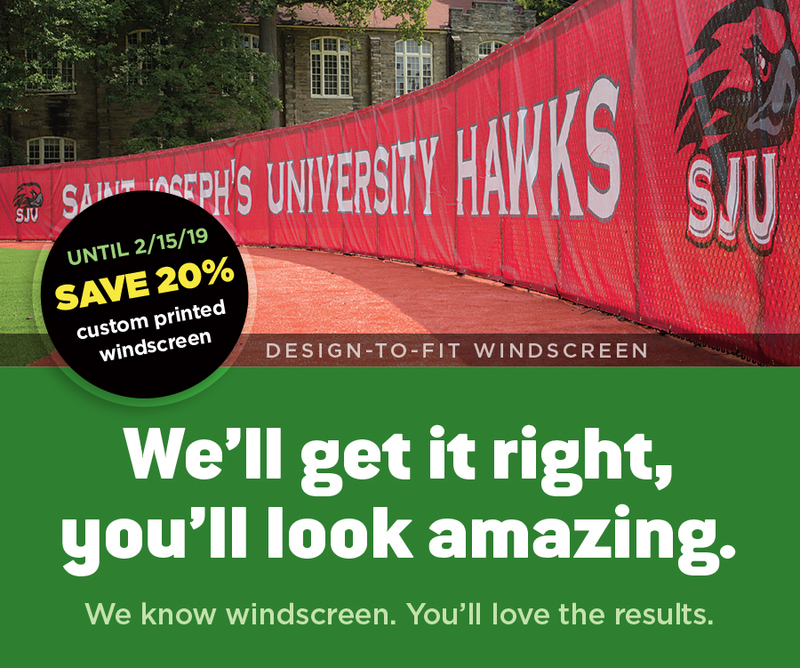 SAVE 20% on Custom Printed Windscreen! We make windscreen printing easy. And custom windscreen will make a noticeable difference. Even simple lettering can have an enormous impact on the professional look of your facility. Our vinyl-coated windscreen is durable and comes in a wide range of team colors. CONTACT US about customized windscreen to bring team branding or sponsorship opportunities to your facility. 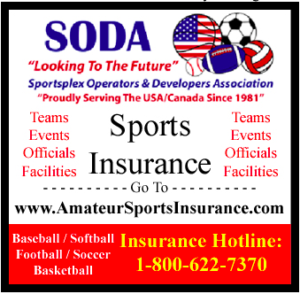 We’re in Phoenix right now for the STMA Conference, so stop at Booth #421 if you are there, too. We’re giving away a free Streamliner 354, so stop in to register to win. We’re also in Chicago for the Parks & Rec Conference… see where we’ll be next. Reg. $139 — NOW ONLY $75 — SAVE $64! 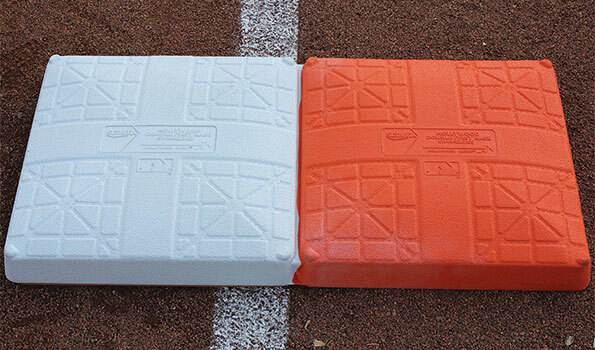 Great value with this release double 1st base. Will compress and then disengage from base upon impact, if necessary. Limited quantities. Like-new condition.